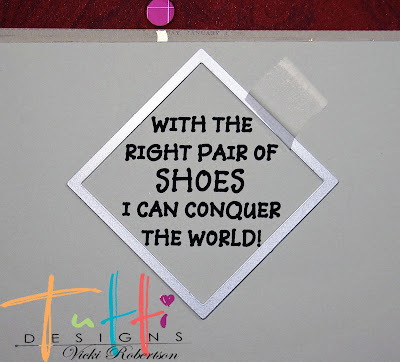 Tutti Designs: The Right Pair of Shoes! Vicki here sharing some early morning inspiration on the blog. With Halloween a few weeks away, I am working on cards and projects to share with family and friends when we gather together for Trick or Treat. 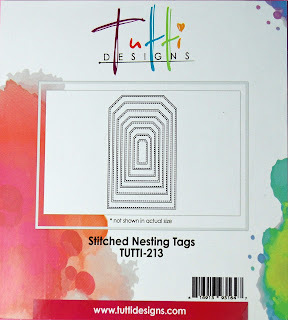 Today, I have a fun card using a couple of Tutti Designs August 2017 release, Fall and Halloween dies along with two others that work on any project you may have in mind. 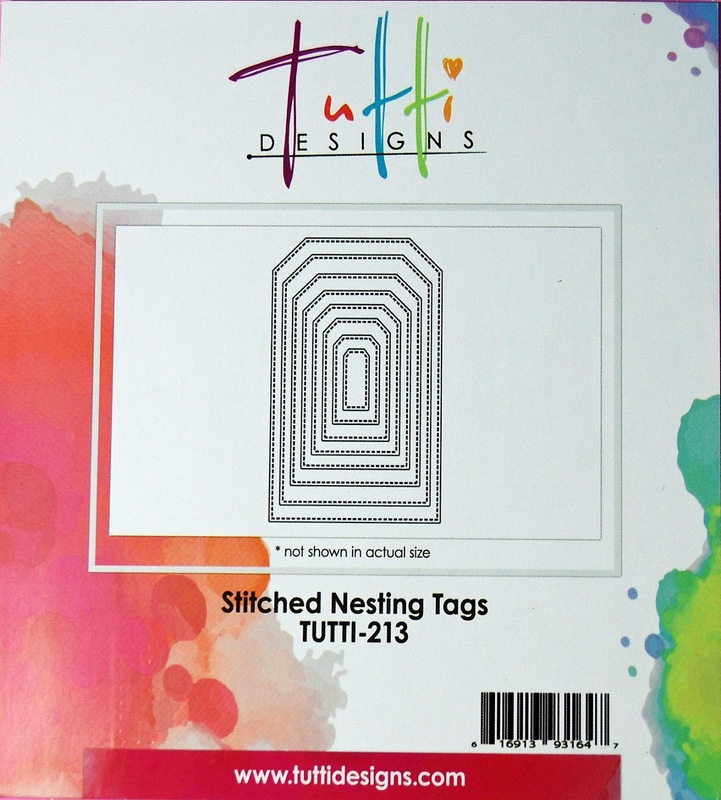 If you haven't seen the latest die release, you need to stop by the Tutti Store and check them out along with the other fab inventory of dies. 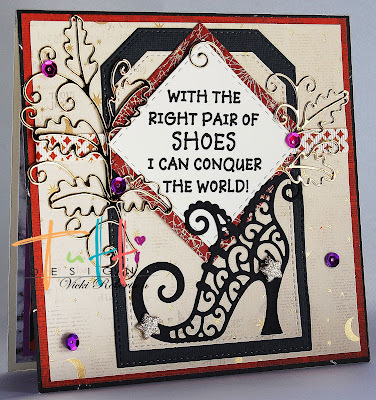 "I CAN CONQUER THE WORLD"
The square card base is matted with layers of Pink Paislee's Spellcast papers. I used two layers of the tag die as background for the card focal point. I tucked matching ribbon behind the computer generated quote tag and embellished around it with the leaf flourish and sequins. I love how perfectly the shoe wrapped around the bottom of the sentiment tag. 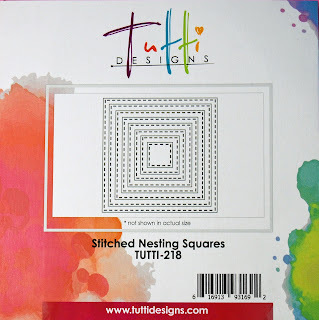 Here's a great way to turn your square die cut into a diamond design! 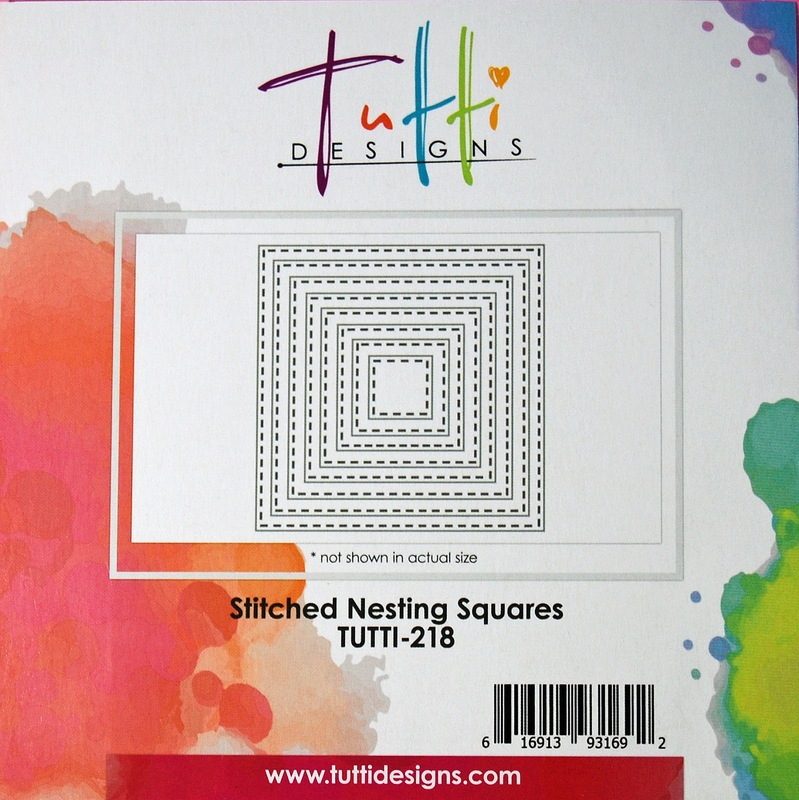 The quote is printed on ivory cardstock and cut using one of the stitched nesting squares turned 90 degrees to be used as a diamond. This was a perfect fit for the way I printed out the quote. 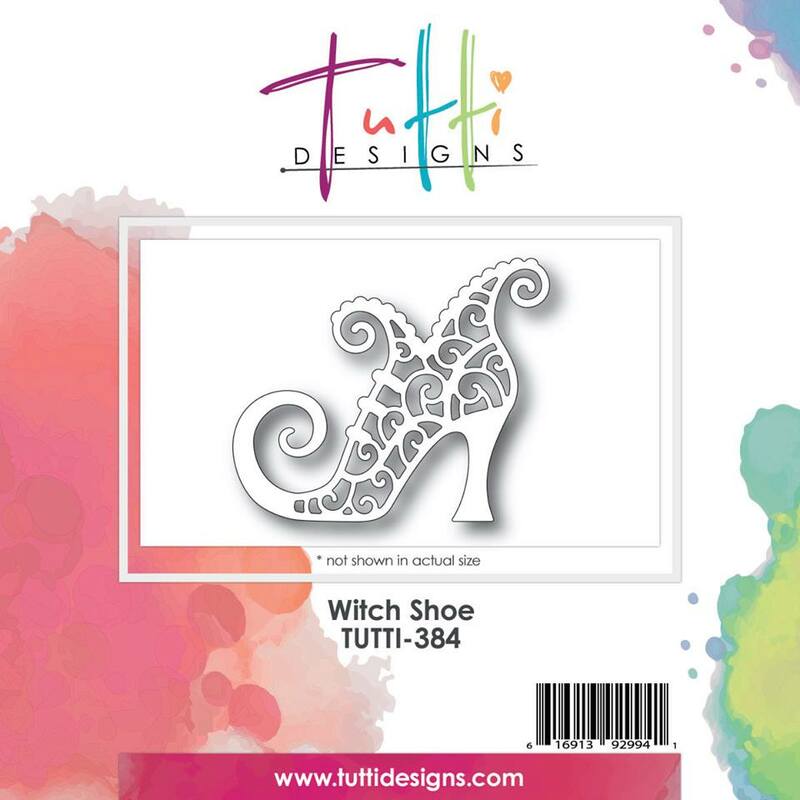 I added a heel jewel to my Witch Shoe! The Fall Flourish cut from gold metallic paper made an elegant accent to the other details on the card. Great sentiment, love how you placed it. 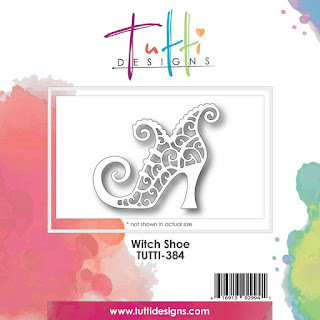 That fancy shoe is amazing and the added fall flourish looks great! This is awesome! This is awesome Vicki! 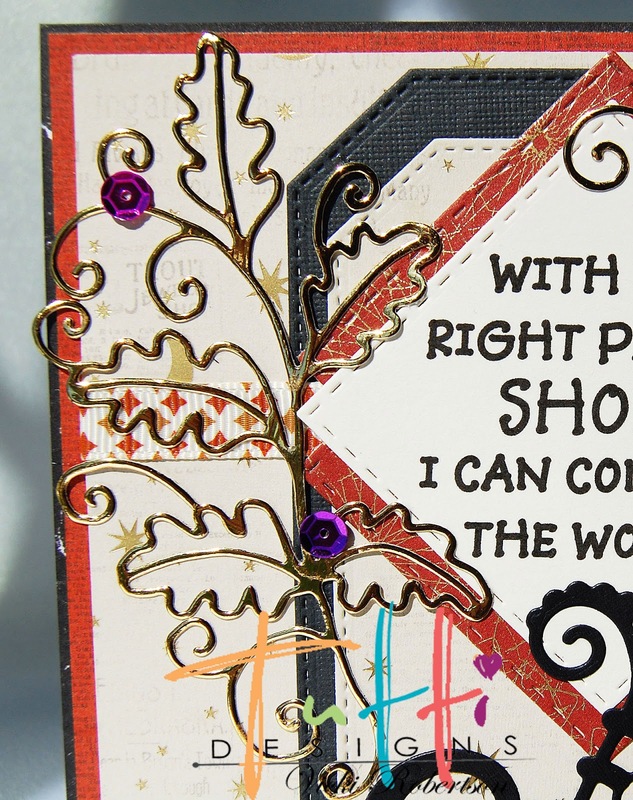 Love your design ... what a great use of dies! Awesome inspiration ... thanks!